The longer 12" Hely-Weber Velocity Hinged Brace is great for returning to sports after ACL and MCL injuries. 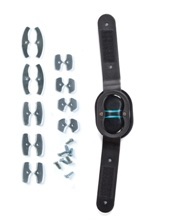 Includes Range-of-Motion stops for a full range of motion brace, a knee immobilizer, or anywhere in between. The brace is constructed of Kuhl™ perforated neoprene to maximize patient comfort and compliance This brace has an Anterior Closure design, with removable hinges for easy brace cleaning. Compare to the Don Joy Playmaker or the Breg Shortrunner and Roadrunner braces. 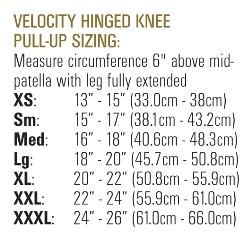 For the longer 16" version, see the Velocity Hinged Knee Brace 16" - Anterior Closure.